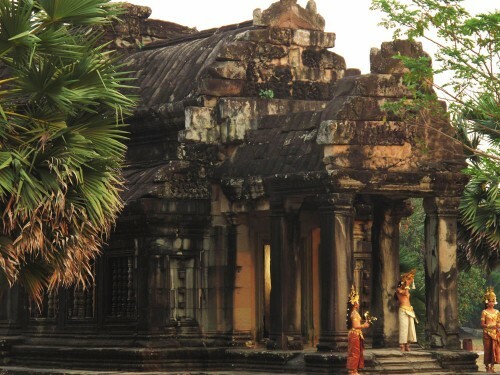 During a visit to Angkor Wat in Cambodia, there are few a few things that every tourist seems to do. 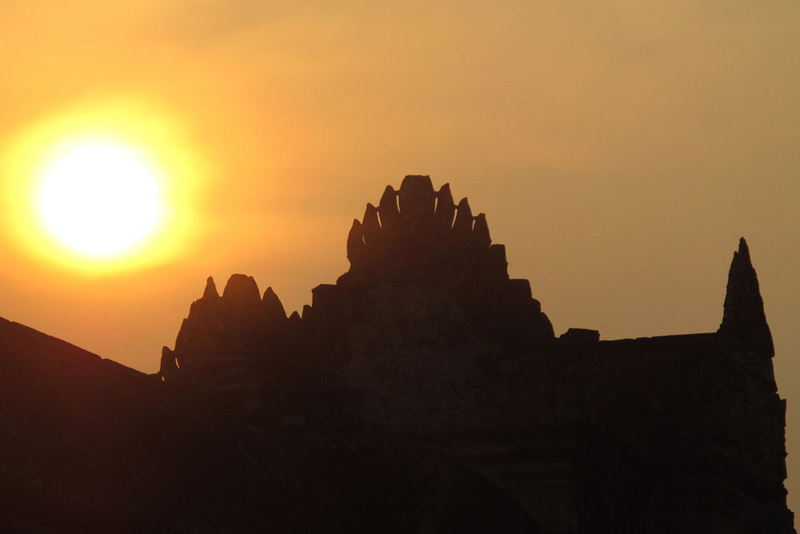 The first is a visit to the main temple of Angkor Wat for sunrise – sitting to the west of the temple, the sun rises from behind the temple creating a temple silhouette with the morning sky. Another is a visit to Bakheng Hill at sunset – a place to watch the sunset behind columns of ancient ruins. 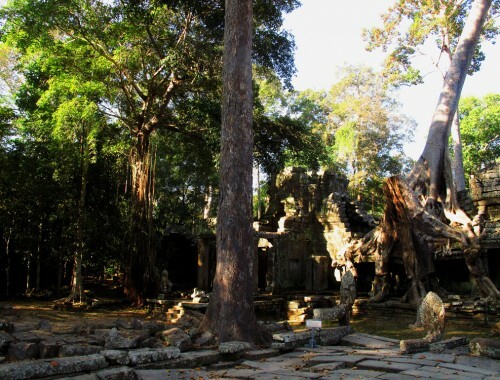 Another is a daytime tour of Bayon, Ta Prohm, and the other outer temples of Siem Reap. Instead of following the masses to Bakheng Hill, we chose to spend a little more time with Angkor Wat and watch the sunset at the main temple itself. The ground were mostly empty as the majority of tourists had flocked to the most popular spot. We had the corridors, staircases, courtyards, and lookouts all to ourselves. 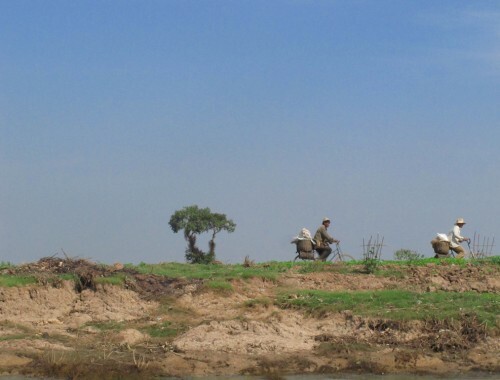 A few other tourists ambled about, as well as monks, nuns, and people working the grounds. Here are a few of the photos we took from the most calming 30 minutes we spent in the legendary Angkor Wat temple.